Beautiful Modern Lakefront Home with great amenities! located in the heart of the Poconos. This lakefront home has been completely re-modeled with modern amenities and ultimate comfort & entertainment in mind. 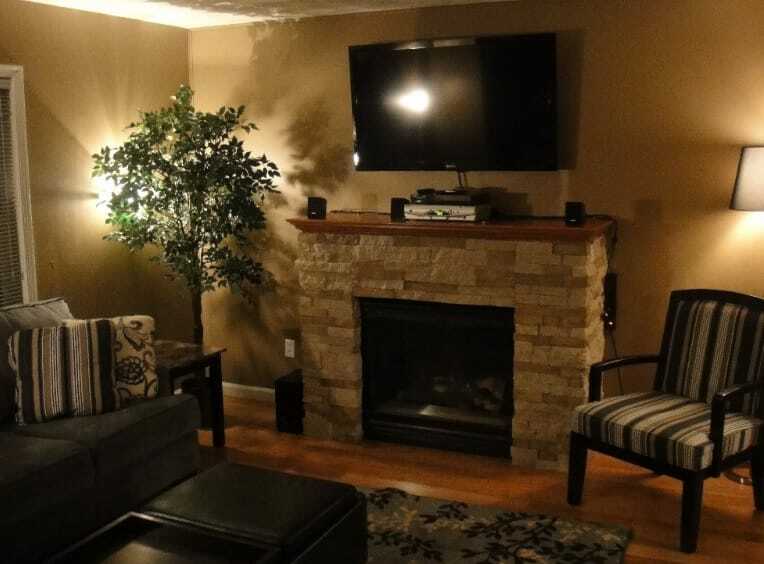 The home features 4 Flat screen high definition TV’s, complimentary wifi internet access, plush sofas, a pool table, a gas fireplace(seasonal), remodeled kitchen with stainless steel appliances, modern style furniture & a beautifully landscaped backyard overlooking a 128 acre natural lake. When you first walk into the home you see the living room which is a great gathering space for entertainment & relaxation. It features a 50 inch Flat screen high definition TV. The home is also equipped with full cable service. The entertainment center also includes a DVD player, surround sound speakers, an IPOD cable to play music & basic high definition cable service. The entertainment center sits atop a beautiful stone gas fireplace(seasonal) where you can enjoy watching your favorite movie or show in comfort. Directly off the living area is a game room containing a 7.5 ft billiard table. The room is also equipped with bar style furniture and 37 in flat screen wall mounted TV. This is a great entertainment room for the whole family to enjoy. The kitchen & dining area complete the 1st floor of the home and are both completely re-modeled. 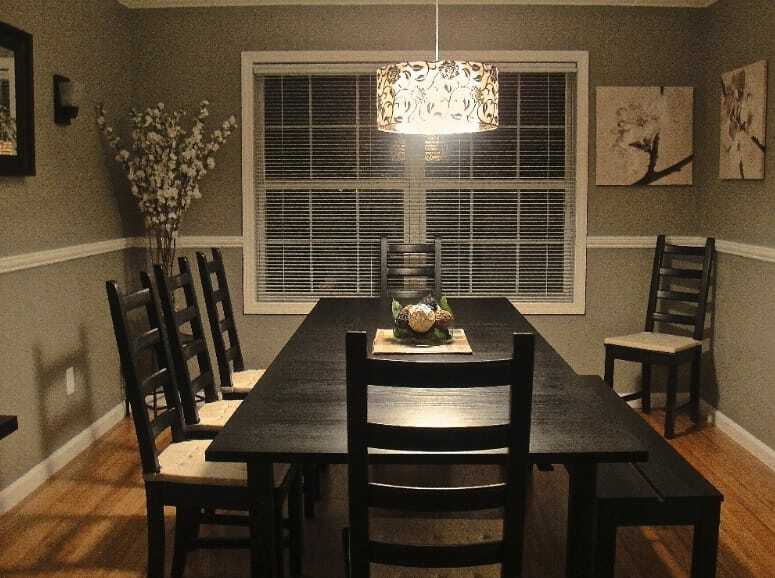 The dining area features bamboo wood flooring and a modern style dining table and chandelier that can seat up to 10 guests. Dine in for any meal period while looking directly out towards the lake. The large kitchen area features all new stainless steel appliances and all the utensils/cookware that is needed to make a memorable meal for your guests. The home has 4 bedrooms located on the 2nd floor of the home. 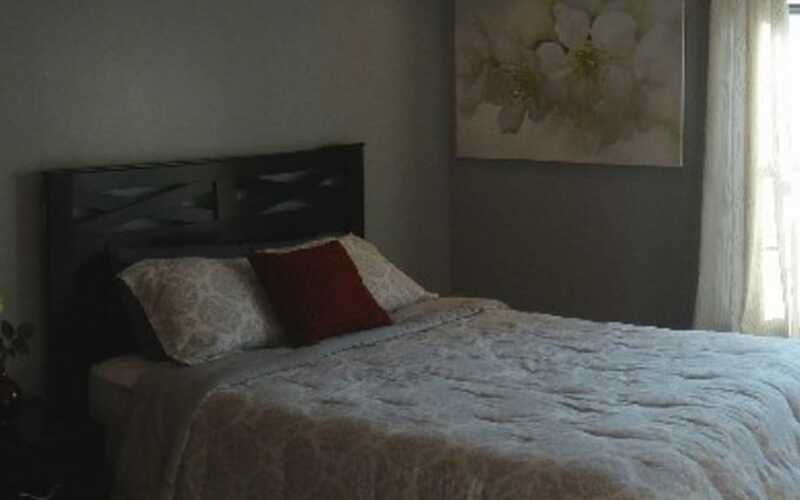 The master bedroom features a 42 in HDTV, a comfortable posturepedic mattress, stylish furniture and walk in closet. The master bedroom also contains a private bathroom with a one person Jacuzzi bathtub. One secondary bedroom is also equipped with large closet space, a 27 in HDTV and an amazing unobstructed lakefront view directly from the window. The backyard in this home is spectacular & about ¼ acre large. Walk out from the kitchen into a 2 tier deck equipped with a BBQ gas grill, plush patio furniture and a breathtaking view of Lake Carabeth. The backyard also contains a small private sandy beach area where a bonfire in the firepit will keep you up all night. Enjoy the tranquility of the lake by taking out your very own boat where you can fish or just relax right off your own boat dock. The home is also located in a private community development. The development has 24 hour security and information center. The community during the summer season has an outdoor community pool, a community beach area for swimming, basketball & tennis courts, a playground & peddle boat rentals for the kids(or adults!). This is all complimentary for you to enjoy as a tenant of the community. The features & design of this home have been carefully thought out so you can enjoy a relaxing, comfortable and memorable trip while enjoying the tranquility of the outdoors.